Your Move estate agents Bulwell is located on Commercial Road in Bulwell. 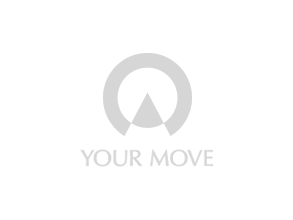 Your Move offer a wide range of property services for customers, including selling your home with fees starting from 0%, renting properties and providing an extensive range of financial services for all parties concerned. We have an option for everyone so call now to arrange your free no obligation valuation or to book in with our partners Embrace Financial Services for some free mortgage advise. The Bulwell team at Your Move have over 50 years' experience in the property industry and is led by Branch Manager Matthew Farnsworth, Senior Valuation Manager Nathan Pearson, Eileen Mclean, Michelle Chadwick and Marie Taylor are the fantastic trio of sales consultants. Christopher Dunworth finishes the team off and is an established Embrace Financial Services Mortgage Adviser within the Eastwood area. Our Your Move Bulwell branch covers the postcodes NG6 and part of NG5 & NG8.